Sergeant Alex Ramsay. Royal Montreal Regiment. Killed in Action Nr Trigger Copse, 1st September 1918. ‘The day my family came’..
Quarter Master Sergeant Horace Crane. 1st Royal Warwicks. Killed in Action Vis-en-Artois 30th August 1918. 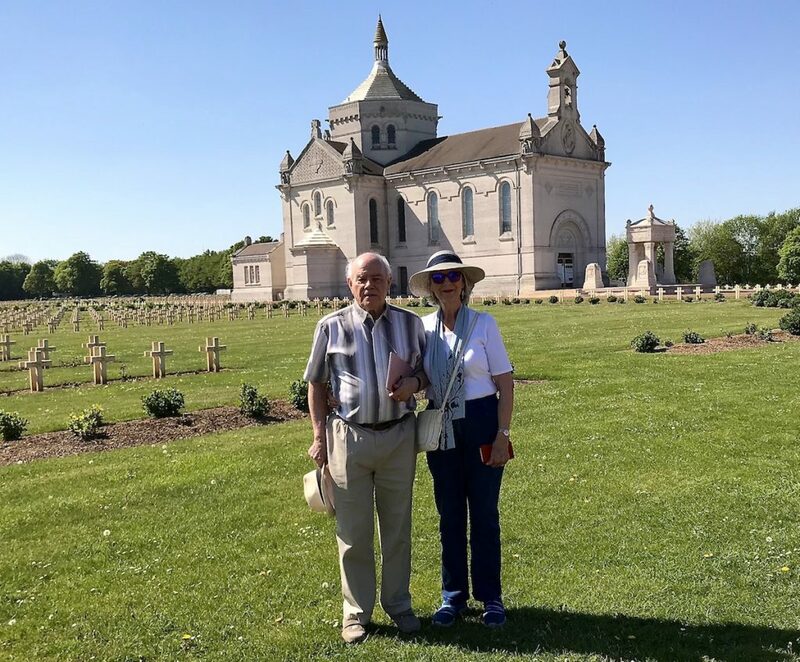 “My wife and I hired Jonathan as our personal guide of WW1 battlefields, primarily connected to Canadian campaigns. 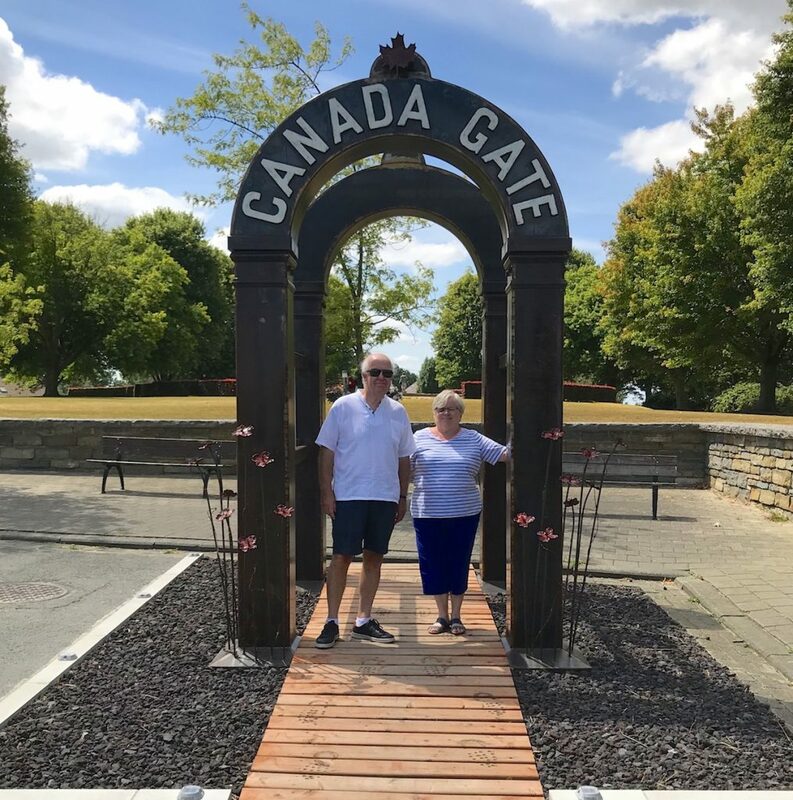 In the 3 days we were together, it was obvious that he had an intimate knowledge of the area as he regaled us with infinite minutiae of everything that happened in the Arras/ Ypres/ Vimy area. Including personal stories, as told to him by Veterans he had previously become acquainted with and escorted on his tours. Some of tales were happy, but many of them were sad but always told with enthusiasm and relish, that virtually brought the original soldiers back to life. 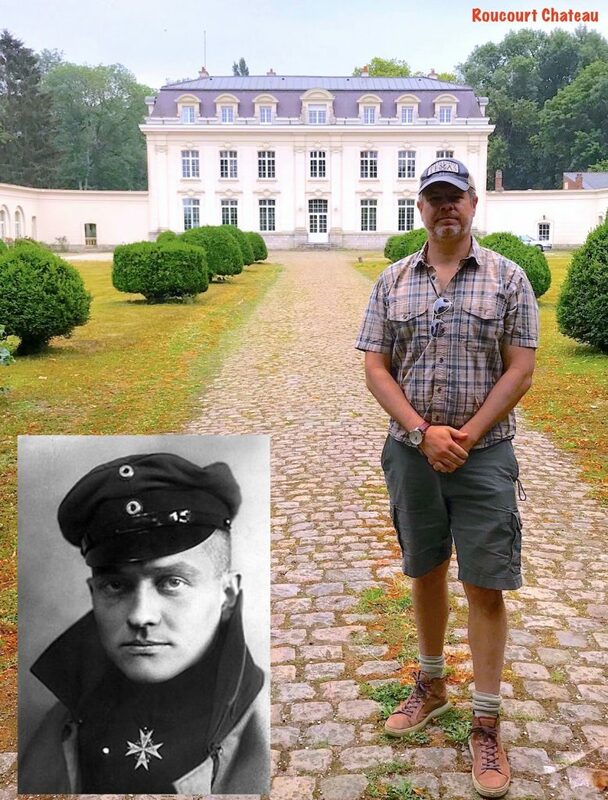 In The Footsteps of The Red Baron..
My tour with Jon following in the footsteps of Manfred von Richthofen was truly a magical experience. I wanted to get beyond the mythical figure of the “Red Baron” and we did just that and so much more. We stood on the aerodrome where Richthofen made his first kill and another where he took off for the last time. We saw the chateau where he lived while dominating the skies and we stood in the field where he crashed and died. It was interesting, fun, and surprisingly moving. We found the graves of his victims in ‘off the beaten track’ cemeteries that receive almost no visitors. In doing so, the world of the “flying ace” became very real, beautiful and horrible in equal measures. Highly recommended. 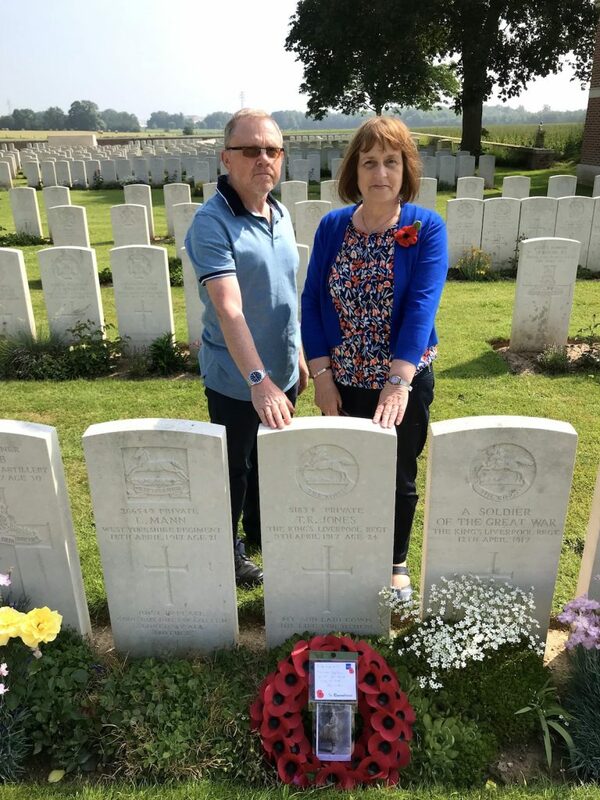 I had promised myself that Alun and I would one day visit the graves of my paternal great-uncles who were killed in action in the Great War. My grandparents and parents had never had the opportunity to do so. I wanted to do it properly so I researched the battles of Arras and found Jonathan’s informative book “Cheerful Sacrifice”. I then knew that he was the right person to take us on our pilgrimage – and my instincts were spot on! Jon carried out research into both of my great-uncles and was able to show us the routes both would have taken during their final hours. He provided the history of both the 9th and 13th Battalions in which they fought and died. I was touched by his unprompted tribute of the “Ode of Remembrance” at each grave and then left us to our own unhurried, private contemplation. 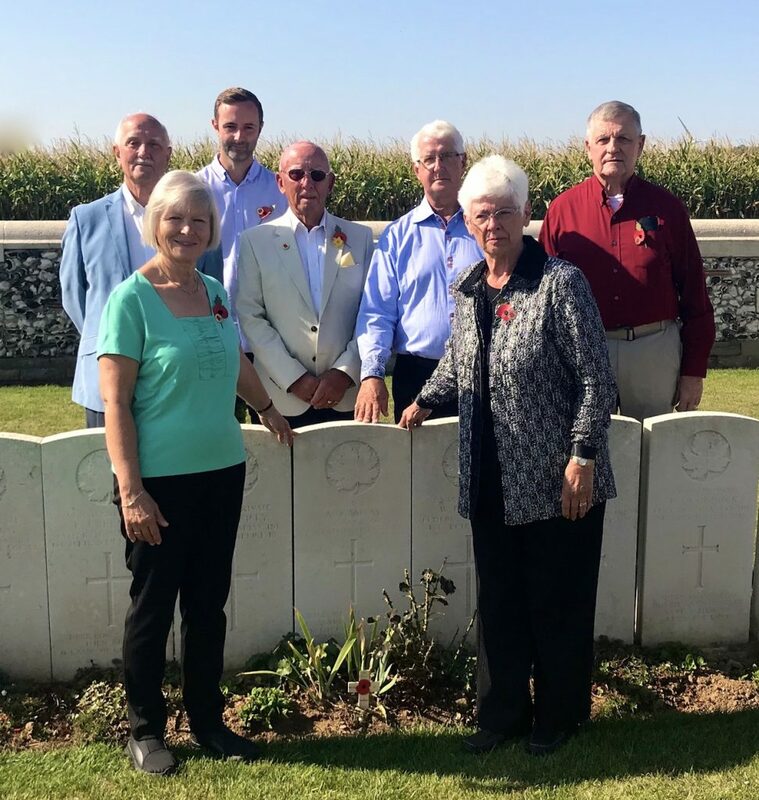 We had realised on the day we visited both Tilloy and Queant Road Cemeteries that Thomas Richards Jones would have spent his last night in the Wellington Tunnels in Arras. We wanted to visit and Jon managed to get us in at very short notice. 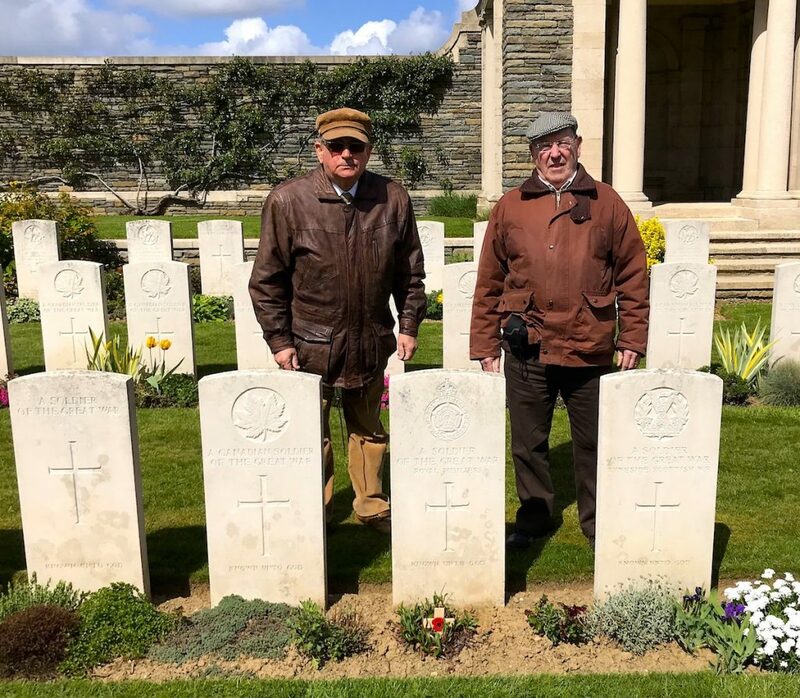 Anyone that goes with Jon on this journey will find out that he is well known in Arras, in the hotel, cafés, restaurants and is treated as a long lost friend and his guests are made very welcome too! We couldn’t have wished for a better informed or more genuinely sympathetic guide for our visit. 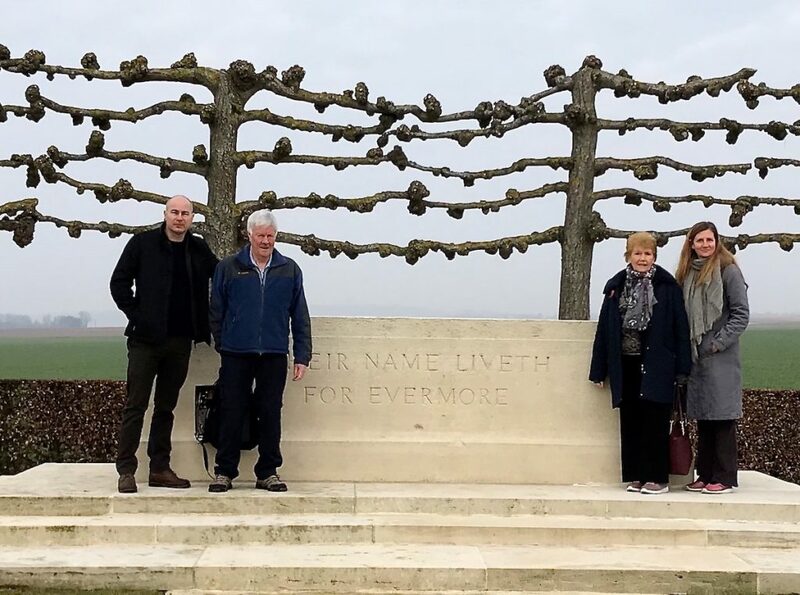 Thank you Jon for a most memorable and personal visit to Arras. 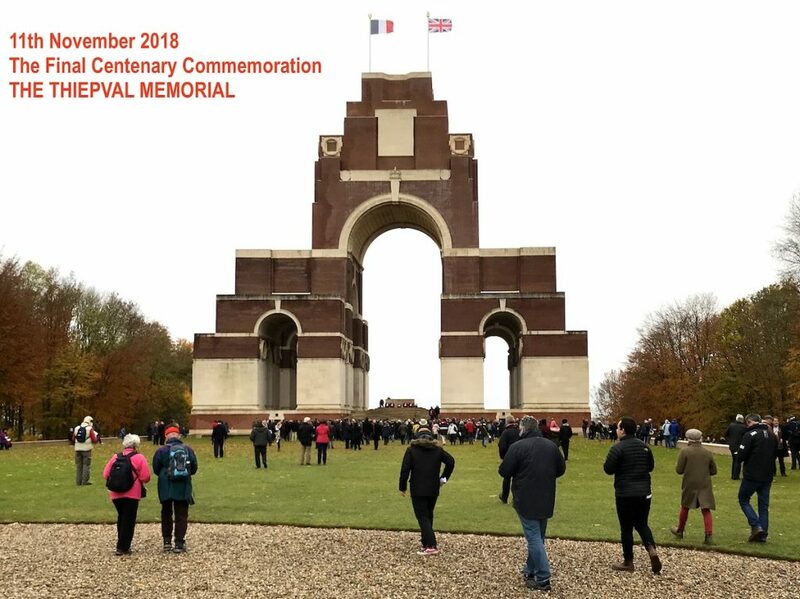 Looking for the last battle of Great Uncle, Private William Parry 12th Kings Liverpool Regiment Killed in action at Passchendaele 16 August 1917. Private Harry Taylor (age 49) The Buffs. Died of wounds 7 May 1917. Calais Southern Cemetery. Rifleman Frank Taylor 10 January 1915 (age 18) 2nd KRRC. Le Touret Memorial. 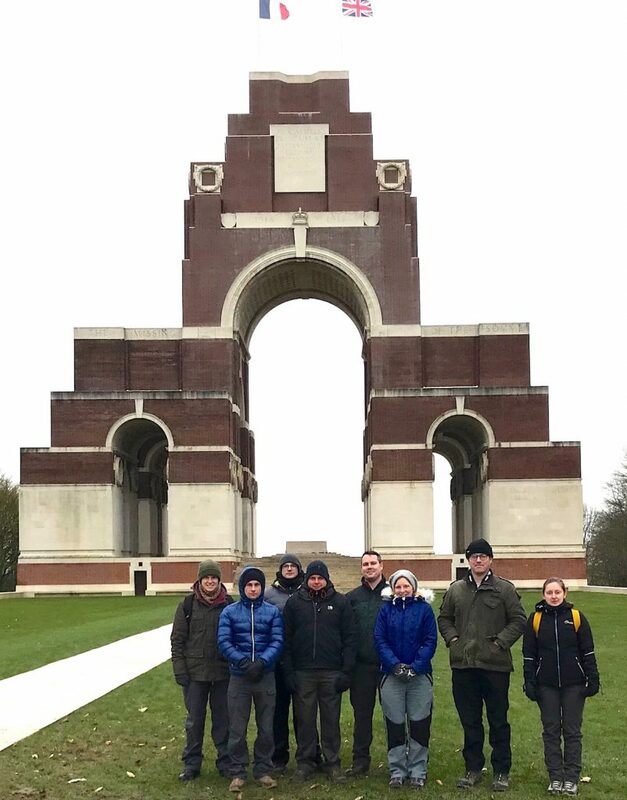 In the footsteps of Private Herbert Edge, 7th Royal Fusiliers. Missing in Action. Gavrelle. 23 April 1917. A family in search of Uncle Arthur.. Private Arthur Bellis. 2nd South Lancs. Died of wounds 12 April 1918 age 19 years. Ploegsteert Memorial. Chris Cotton & The Morton Family. 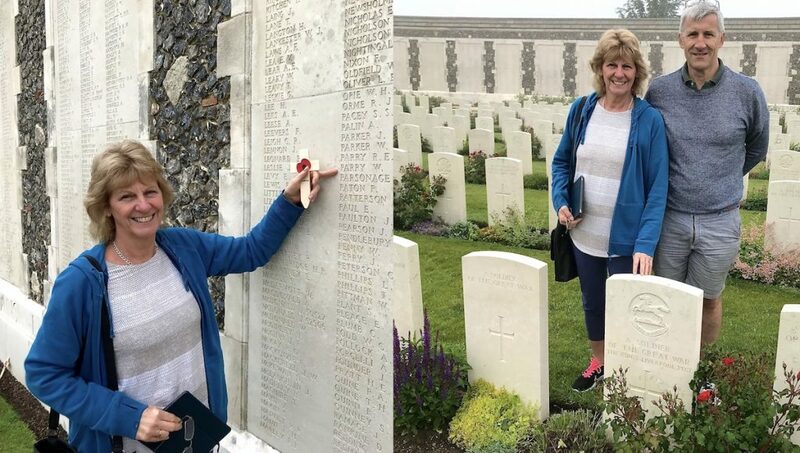 In the footsteps of Corporal Alf Bloomfield MM. 2nd Durham Light Infantry. The Kaiser’s Battle. 21 March 1918. “My Dad and I cannot thank you enough for helping us to exceed our wildest expectations. 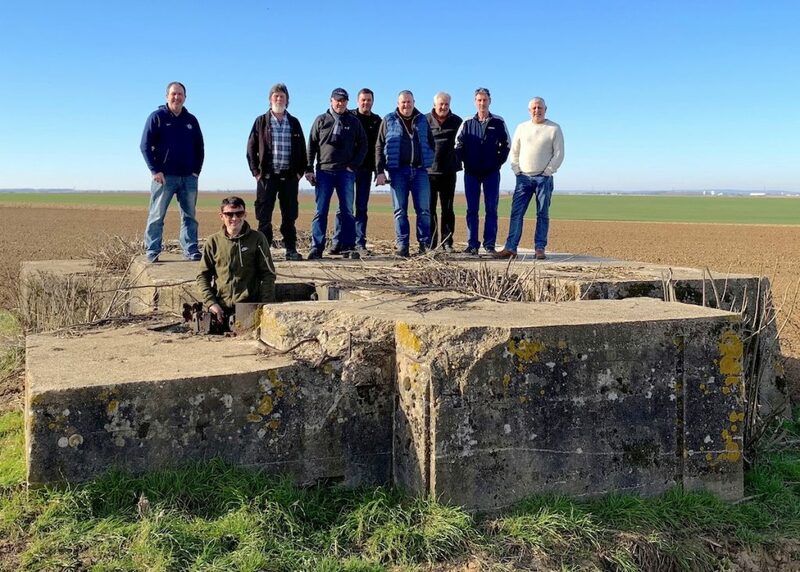 We had hoped to get near to the scene of my grandfather’s actions on 21st March 1918 in the Morchies sector, but never thought that we would get to the point where we felt that we were actually retracing his footsteps exactly one hundred years on from that day. You managed to bring history back to life for us and we are now able to fully understand what occurred on that fateful day at the beginning of the Kaiserschlacht. Both my Dad and I agree that you gave us an absolutely first class service, going way beyond what we expected. Following Grandfather, Daniel Crawford Black. 1st Battalion Gordon Highlanders. 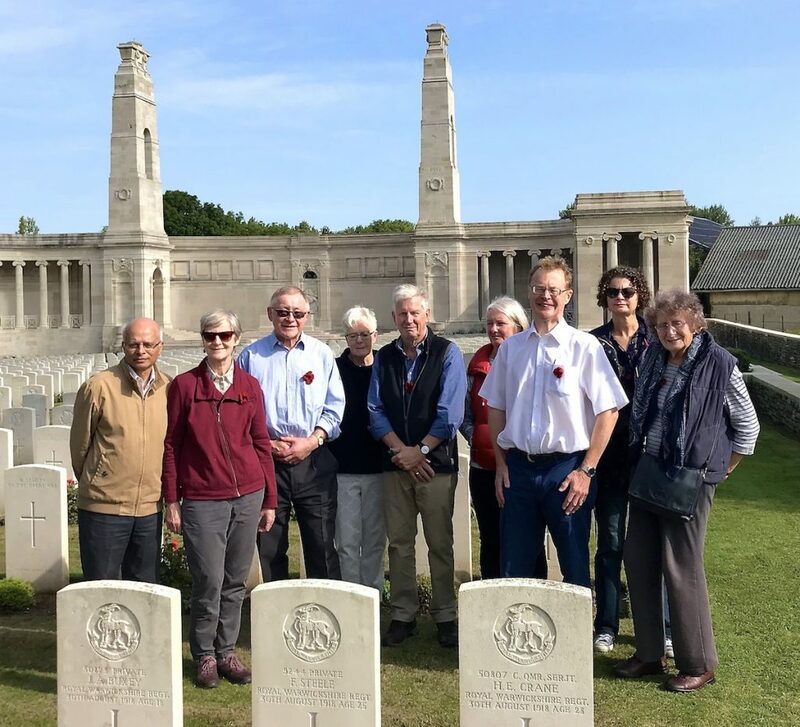 “I really do need to thank you for your support and guidance during the arrangement and expedition of our reminiscence trip to Arras and area. 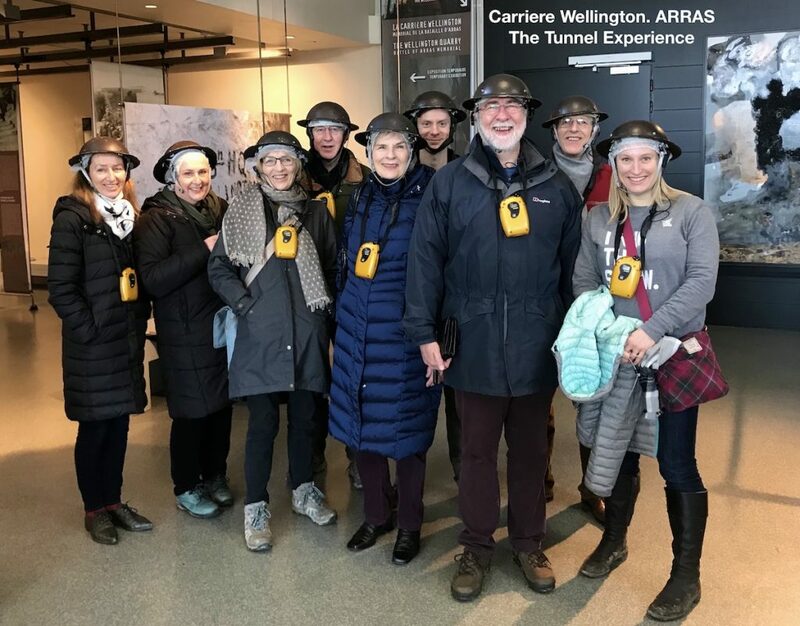 We had a very good time, despite the cold, and we have, absolutely, learned a great deal about the experience of our grandfather in 1918. It gave us all a proper perspective on the things he used to talk about, and quite frankly has deepened our respect for him and his colleagues in the 1st Gordons. With the British Army in the field. A Battlefield study from the Somme to Arras. Jon is the most knowledgeable person I have ever met on this subject and provided us with an informative and knowledgeable tour. He is very different from normal tour guides as he has met a lot of soldiers who were there and knows their stories so instead of the generic “this happened here let’s move on” he could bring each part of the battlefield alive with personal stories from people who were actually there. He also knows of all the tiny cemeteries hidden away and why they are in such remote locations. The tour was able to be adapted to incorporate those who wished to visit the graves of relatives, which was an added bonus. I would highly recommend Jon any day of the week to take you on a battlefield tour and help keep the memories of such a terrible war alive. 245 Squadron. 14 Signal Regiment. “He was never found. That was all I knew. I wanted to go and lay a wreath but where was Arras? How did I get there? I needed a Battlefield Guide. It was then I came across Jon Nicholls on the internet and what a find he turned out to be! 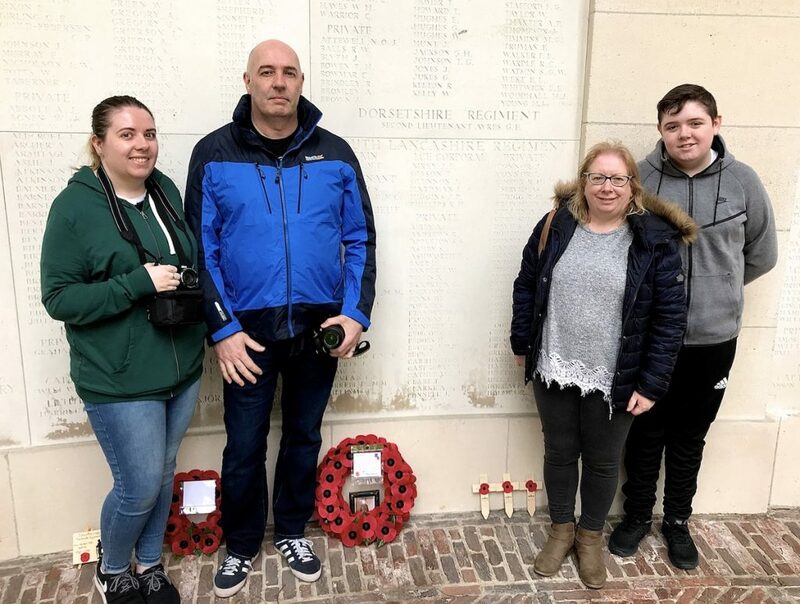 He took us to the Memorial at Arras where I laid my wreath. 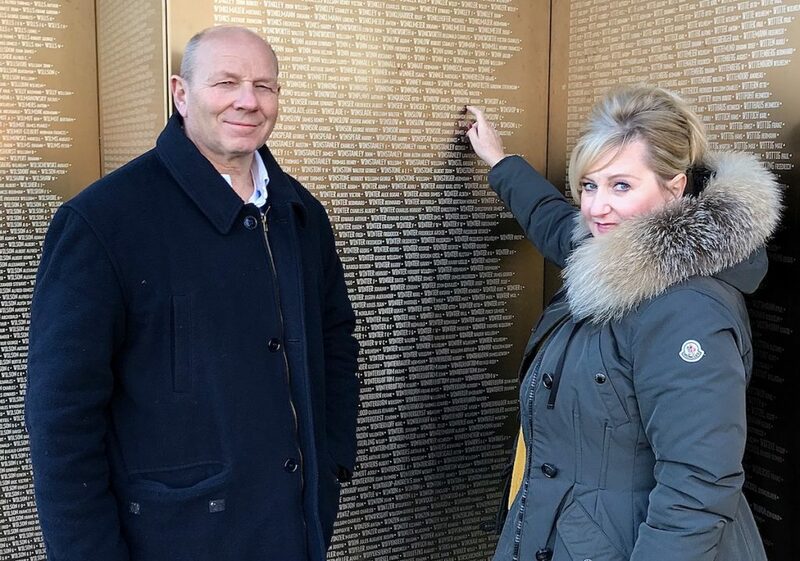 We also found his name on the memorial at Notre Dame de Lorette. 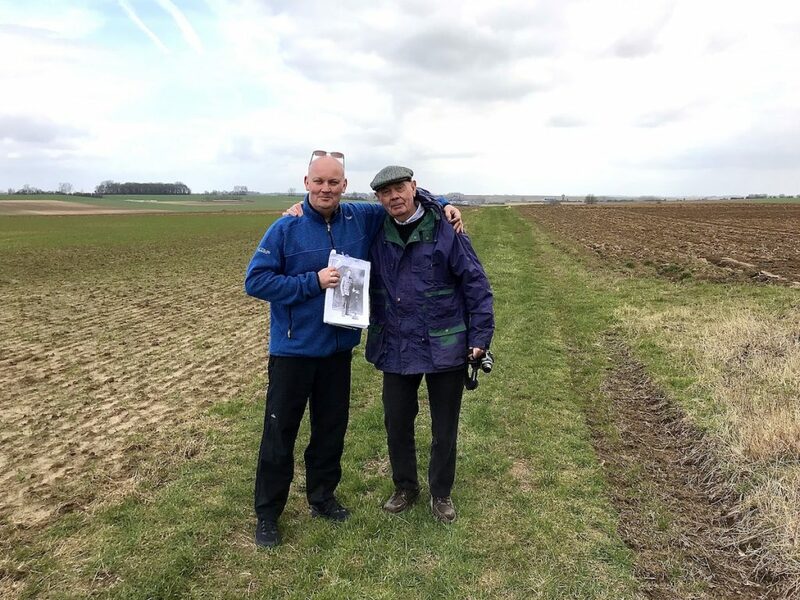 Jon also took us to the field at Bullecourt where Robert fell and explained what his regiment had done. To say that was moving was an understatement. I will never forget that moment for the rest of my life. I will never be able to thank Jon enough for what he did. His knowledge of the Battlefields is enormous. Looking for Grandad.. Private Daniel McClelland. 7/8 Royal Irish Fusiliers. Tunnel Trench. 20 November 1917.